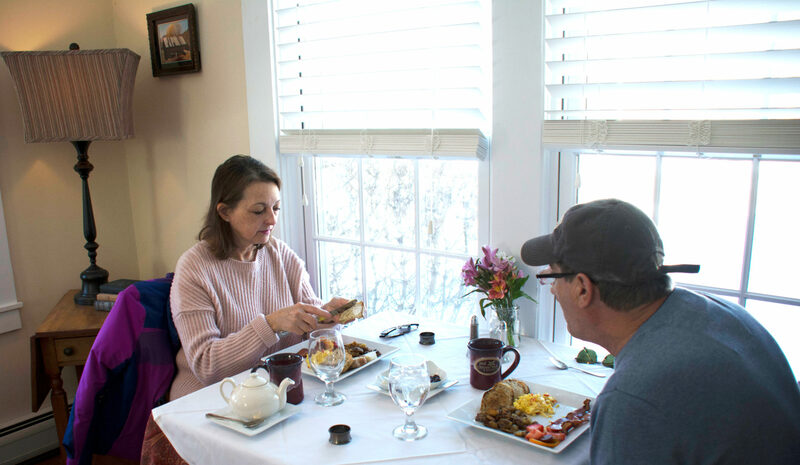 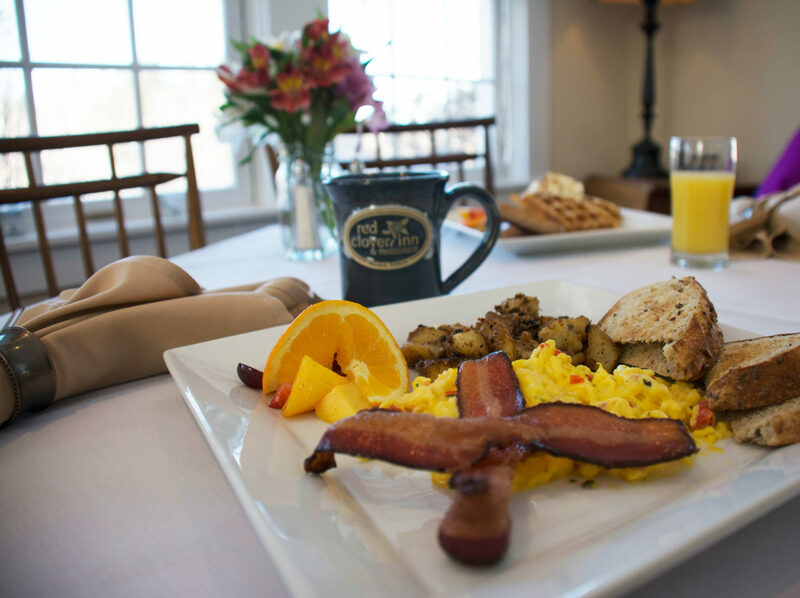 Wake up to freshly baked breads, eggs made to order, and hot Vermont coffee with complimentary breakfast at the Red Clover. 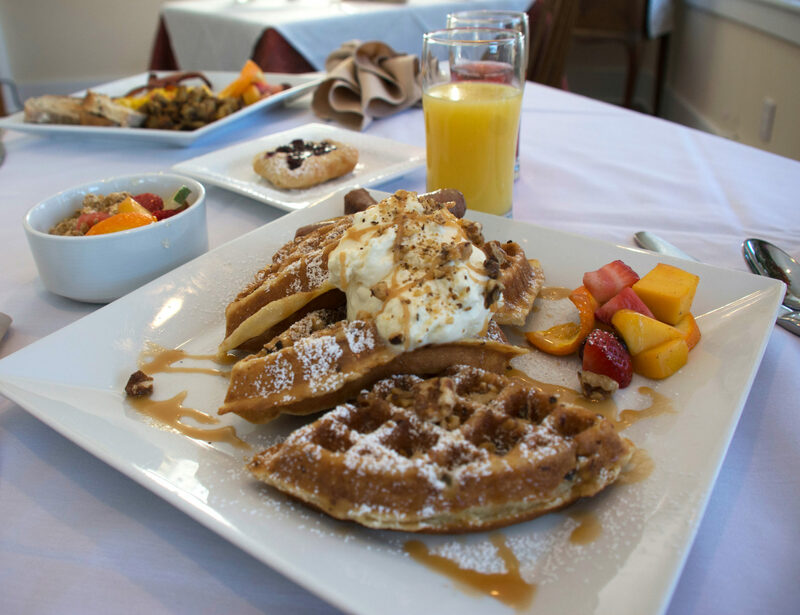 Start your day with daily specials like farm-fresh quiche, flavored & stuffed gourmet waffles, and more. 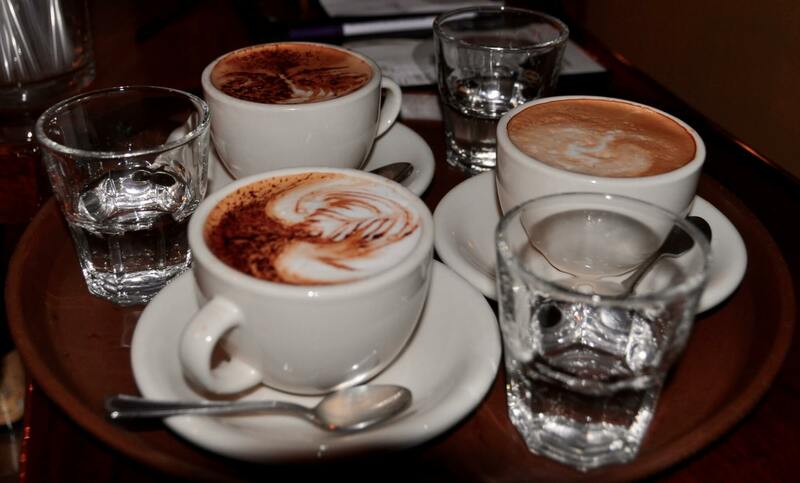 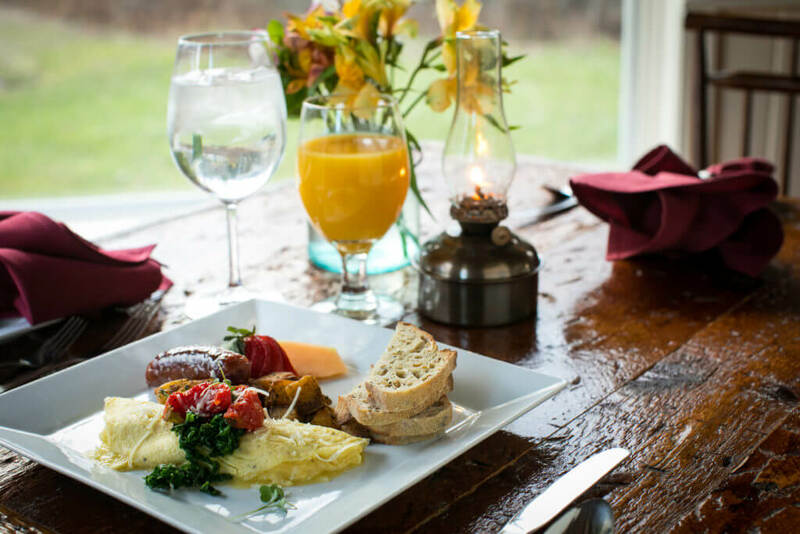 You’ll also find fresh orange and cranberry juices, Vermont apple cider, and ice water in addition to hot coffee and tea. 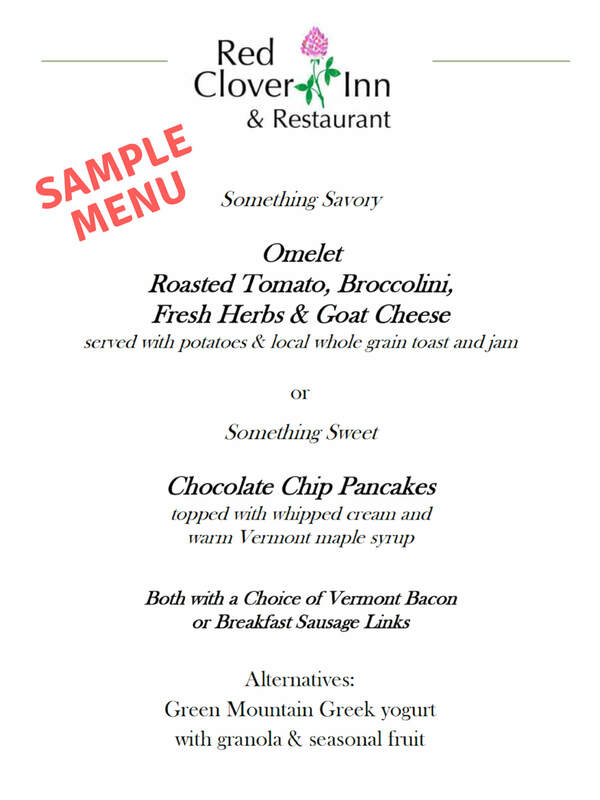 View a sample Red Clover Inn breakfast menu below.